Hudson is an unincorporated community along the Gulf of Mexico about 30 miles northwest of Tampa. It was founded in 1878 by Isaac Hudson. The town grew in the early 1900s when the Fivay Company began cutting lumber and shipping it to Tampa. Today the community consists of 20,000 residents. Its older waterfront is reviving and large residential developments are spreading inland. If you are looking for a Hudson pool builder to transform your back yard into a beautiful Hudson outdoor living space for you and your family, look no further than Grand Vista Pools. We've been designing and building new swimming pools in Hudson and surrounding communities for two decades. 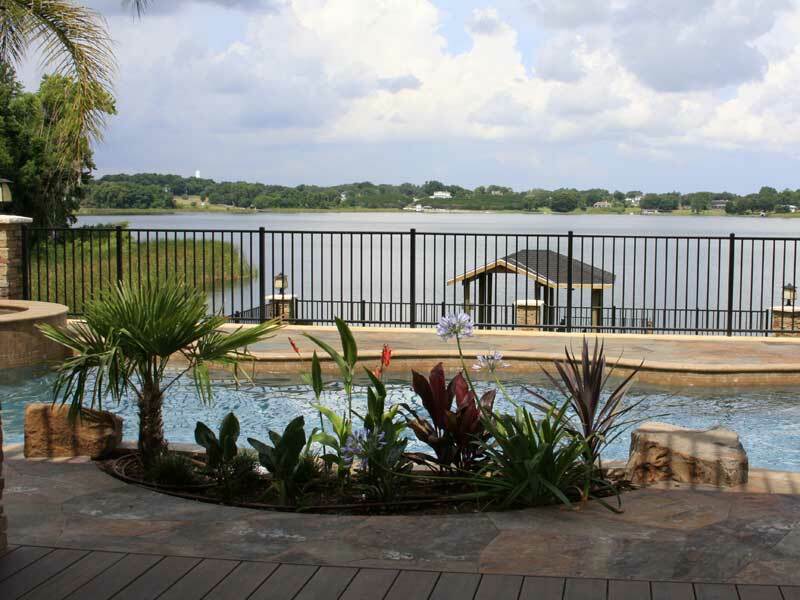 One thing that makes Grand Vista Pools distinct is not only are we an experienced pool contractor, but we are also a licensed general contractor. This means we can construct your entire outdoor living area including renovations to your home which may help your existing indoor living space flow better with your new outdoor living space. Do you have an older swimming pool that needs some TLC? Would you like to add a spa? Maybe some lighting, water or fire features? We do everything from pool resurfacing to extreme makeovers. Pool remodeling can make an old, dated pool look amazing with new design options, features and technology! Grand Vista Pools also specializes in designing and building Hudson outdoor kitchens. Whether you want an awesome outdoor grill a stylish outdoor bar or a full-featured kitchen, we can design and build the perfect outdoor living space for you.